"Yours is the only magazine subscription that I have not let lapse as we are preparing to move to our new home." "You have worked very hard to create a source of valuable information where none existed." "I love your publication, and I am looking forward to going on a trip to Japan with you in the future." The stunning beauty of a Japanese home is partially due to its clean, uncluttered look. While Western homes tend to be filled with furniture, textiles, and ornate decoration, a Japanese home seems almost empty in comparison. Much of a Japanese home's beauty comes from it's timberframe carpentry and the natural materials used in construction. Japanese interior design, then, is not about "adding" extra items to the room. Instead, the goal is to minimize distractions and to allow the graceful beauty of the building, itself, to shine. Despite its seemingly simple appearance the Japanese house does have quite a few interior details that influence the mood inside the building. For example, when selecting shoji screens there are hundreds of different latticework patterns to choose from. Japanese homeowners can also add their own personal touch with the furniture they select and the artwork or seasonal decorations they display. JAPANESE ROOM DESIGN The Japanese room is known for its clean lines and uncluttered look. These JOJG articles discuss the sophisticated aesthetics behind that minimalist appearance. TATEGU The word tategu refers to the sliding doors and windows in a Japanese house. 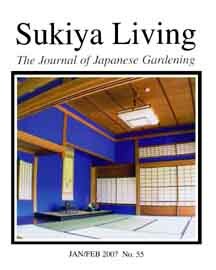 These articles concern subjects such as shoji screens, fusuma doors, and ranma transoms. For example, did you know that a shoji screen is NOT made of rice paper? Read these articles to learn more. TATAMI Japanese house design employs a module based on the tatami mat flooring system. Traditional tatami mats are 90x180cm. 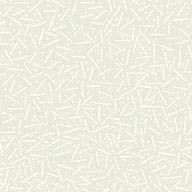 The floor plans of tatami rooms are standardized and come in sizes such as "6-mat" or 8-mat" arrangements. These articles also address other flooring systems such as the modern bamboo flooring seen in the West. TOKONOMA The tokonoma alcove is a spot where artwork, family treasures, and seasonal decorations are displayed. It serves in a role similar to a Western home's fireplace mantle. Ikebana, bonsai, and hanging scrolls are some of the items displayed. JAPANESE FURNITURE Japanese homes are famous for their clean, uncluttered lines, and their general LACK of furniture. Even so, most traditional houses have a few choice pieces of furniture such as tansu, hibachi, and kotatsu. 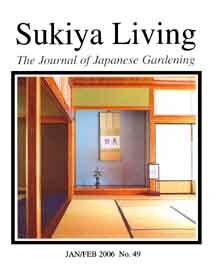 These JOJG articles include information about some of the modern Japanese-style furniture that is popular in the West. FUTON Futons are the traditional bed system used in Japan. Futon beds consist of a futon mattress and a quilt-like cover called a kake-buton. These articles are primarily about Japanese futon beds, not their Western counterparts. JAPANESE ANTIQUES Western enthusiasts are increasingly interested in Asian antiques and Asian interior design. These JOJG articles concern collector items such as Japanese art, Japanese pottery, and antique Japanese tansu. HOUSEHOLD FURNISHINGS These articles are about about items that make excellent Japanese interior design gifts. Subjects include Asian-styled placemats, wall hangings, rice-paper blinds, ikebana vases, and Japanese tea cups. Are you interested in Japanese home decoration? These articles are for you. JAPANESE TRADITIONAL ART In Japan, the traditional approach to art is strongly linked to function and craftsmanship. This goes beyond the display of traditional art objects such as paintings and pottery. Look closely at a Japanese house and you will notice beautiful patterns and creative expressions incorporated into almost every form of everyday object, from kimono textiles to calligraphy cases.